A Wise ORIGINAL! 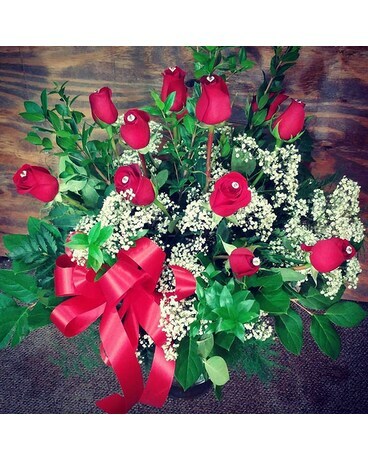 One dozen long stem red roses arranged in a rhinestone wrapped vase, with an assortment of different greenery and babys breath. Each individual rose is adorned with a gem tucked inside its petals.